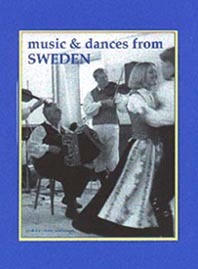 This book and CD is a collection of wonderful tunes and dances introduced at the annual Scandinavian weekends organised by Yorkshire Dales Workshops. The written music notation has been provided by the tutors and performers recorded on the accompanying CD. Introductory notes on Swedish dancing and detailed dance notations have been provided by Hester Meadows who shared with Kerry Fletcher the teaching of a fascinating variety of Scandinavian dances at the Workshops.